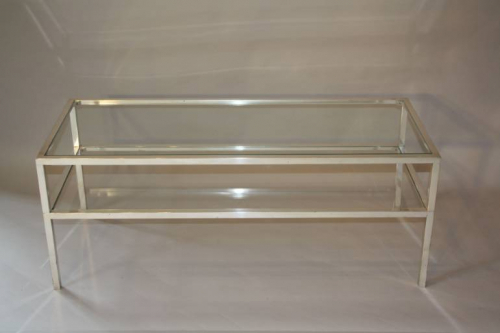 A very rare find - a two tier silver metal Italian Sabattini coffee table. Marked with Sabattini label underneath. c1960.